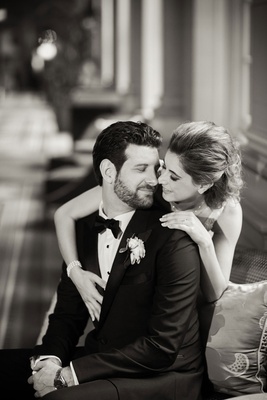 When Alexandra Sirota and Jeremy Kelman both swiped right after viewing each other’s profiles on a popular dating app, they couldn’t have imagined they would soon be making plans to spend the rest of their lives together. 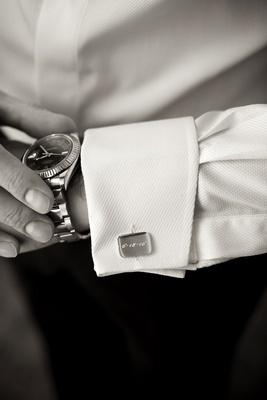 After a few weeks of getting to know one another over the phone, they planned their first date in New York City. “We started out with drinks, which turned into dinner, which turned into scheduling our second date, which turned into forever,” divulges Ali. 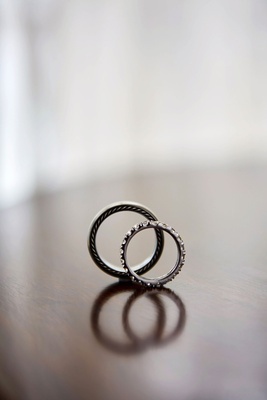 On the night of their one-year anniversary while on vacation in St. Maarten, Ali had a suspicion her beloved would propose. After a celebratory dinner, Jeremy suggested they go for a walk on the beach – “He knows that nighttime beach walks are one of my favorite things,” adds Ali. 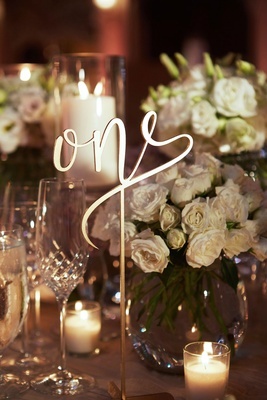 “All of a sudden, I heard it, our song was drifting from a nearby hotel… He heard the notes and dropped to one knee.” As Jeremy grabbed her right hand, Ali – already in tears – quipped “wrong hand” and promptly gave him the correct one to ensure everything was absolutely perfect. “The rest is a blur, but one thing is crystal clear, I said yes to marrying the man of my dreams,” she muses. 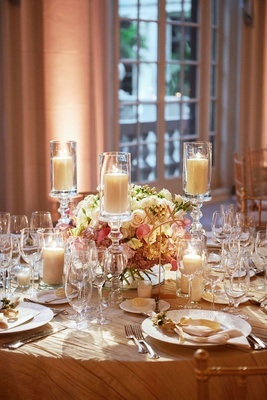 Upon returning stateside, Ali and Jeremy spent the next 13 months planning an opulent celebration for nearly 150 guests. 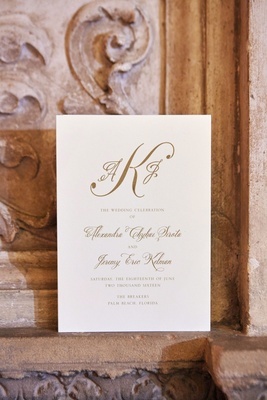 Though the couple resides in New York, they chose to host their nuptials at a luxury resort in Palm Beach, Florida. “I always knew that I wanted to get married at The Breakers,” says Ali, who often visited the locale with her family growing up. When she and her beau visited the property, he too fell in love with it and the choice of venue was sealed. Thus, the one-of-a-kind resort set the tone for the décor of the day. 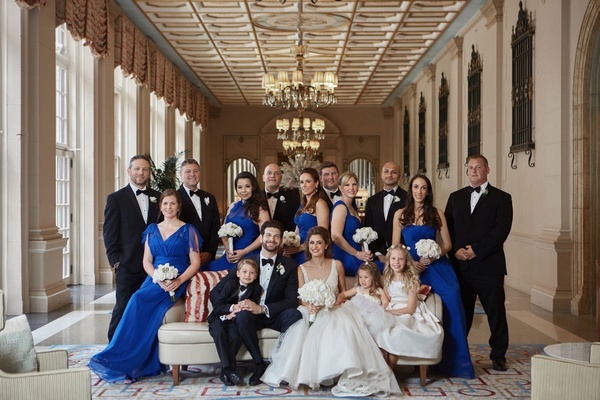 “The Breakers is so special and has such personality, we didn’t want to distract from it,” explains the bride. 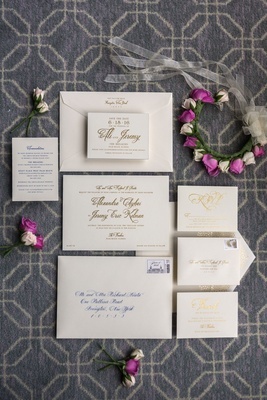 To complement each ballroom and capture the elegance they strived for, Ali, along with her mother and wedding designer, worked together to create a timeless event with a classic palette of ivory, lilac, pink, and cobalt blue. 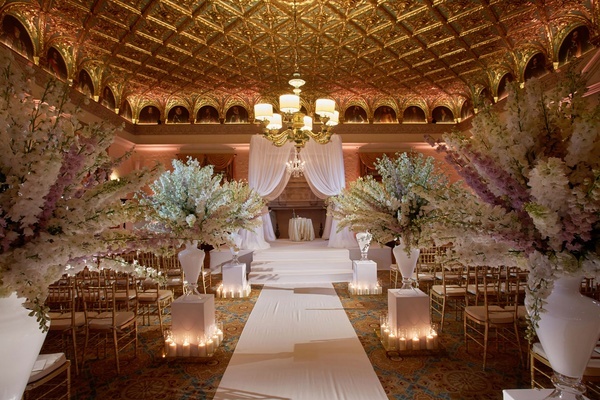 On the day of the ceremony, guests found their seats inside an elegant ballroom featuring a paneled gold ceiling with ornamental detailing. 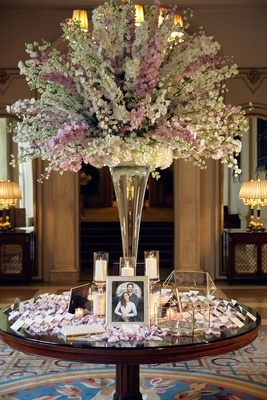 Lush arrangements of alabaster and lavender delphinium blooms lined the aisle, which led to a beautifully draped chuppah. 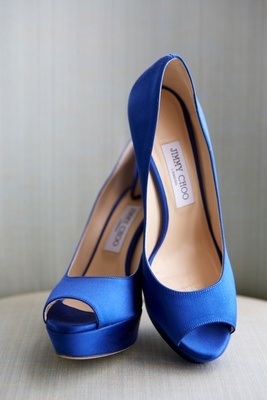 As a string quartet played Journey’s “Don’t Stop Believin,’” bridesmaids walked down the aisle wearing floor-length dresses with varying necklines in the same cobalt hue and holding nosegays of vanilla and lavender garden roses, lisianthus, and privet berries. 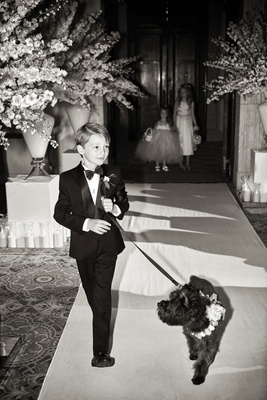 Groomsmen were handsomely attired in tuxedos with bow ties to match the groom. 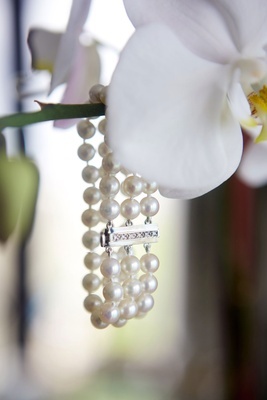 At last, the bride entered in a sleeveless V-neck gown embellished with beading; she accessorized her ensemble with a family heirloom necklace and a three-strand bracelet made from her grandmother’s pearls. 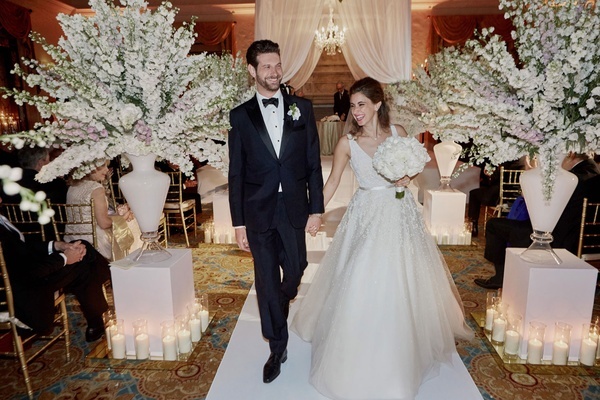 On the arm of her father, she descended the aisle holding a hand-tied bouquet of ivory peonies and garden roses to the sounds of “All of Me” by John Legend. 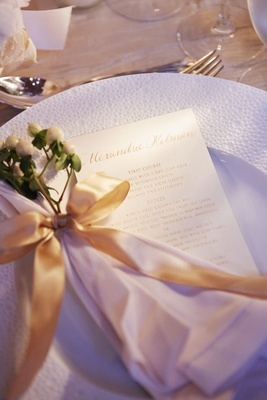 At the suggestion of the groom, the couple exchanged personalized vows. “In addition, I wrote vows that I recited to my stepchildren, Elijah and Lylah,” shares Ali of the powerful moment that turned out to be one of Jeremy’s favorite parts of the day. He remembers, “Her love for the two of them shined through with every word she whispered, since she had lost her voice. 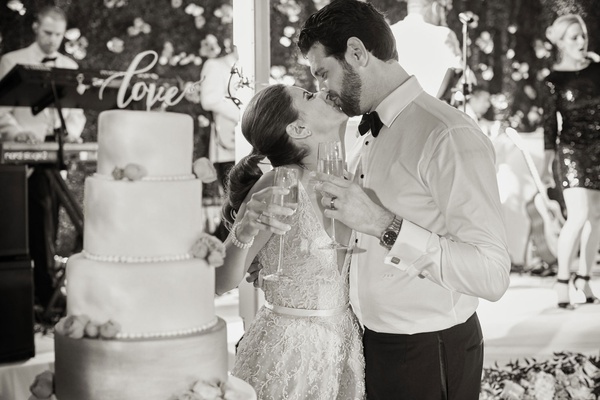 It warmed my heart more than I can explain.” Once Ali and Jeremy were officially joined as husband and wife, they started their lives together to the joyous melody of “Happy” by Pharrell Williams. 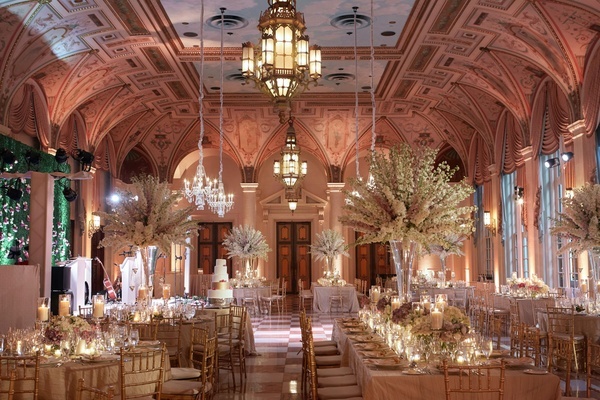 Loved ones gathered for the reception in the Mediterranean Ballroom, which features elegant gold-and-white checkered flooring, Venetian-style chandeliers suspended from fresco-painted ceilings, and tall arched windows. 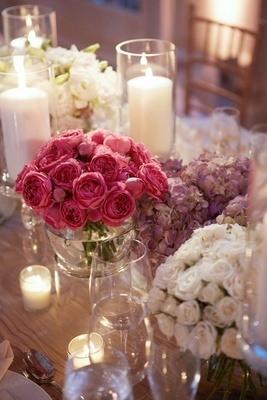 Centerpieces showcased three main designs in various heights featuring arrangements of ivory spray roses, snowy and lavender lisianthus blossoms, pink roses, and privet berries, accented with glinting candle votives. 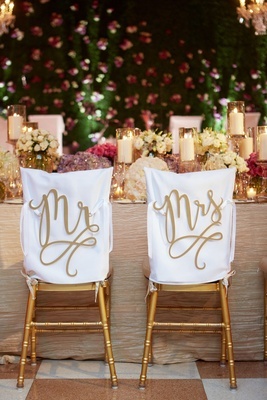 Laser-cut lettering in modern calligraphy denoted table numbers and the couple dined at chairs decorated with “Mr.” and “Mrs.” signage in the same style. Starting the festivities off on the right foot, Ali and Jeremy delighted guests with a choreographed first dance to “Thinking Out Loud” by Ed Sheeran – the same song that was playing during their proposal. They spent the rest of the evening on the dance floor with friends and family. 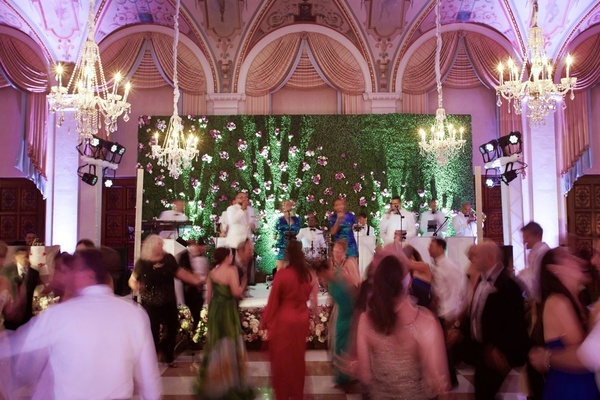 “Our band was the best wedding band I’ve ever heard,” shares Ali of the entertainers, who performed in front of a striking hedge wall decorated with blooms. “They read the crowd and kept everyone on their feet dancing the entire night!” The couple was equally impressed with the menu of the evening, which included a five-tiered vanilla cake with coconut cream decorated with ivory and gold layers, pink roses, and a gilt “love” script cake topper. When reflecting upon their wedding day, both bride and groom agree it was flawless. “It was most important to me that Ali got everything she ever wanted in a wedding,” says Jeremy, who suggests other grooms “let the bride run the show and only add input when asked… Everything went off without a hitch!” The bride notes she would have rather not been sick the week before the wedding, which resulted in her losing her voice on the day of; however, she still wouldn’t change a thing. “To be honest, not being able to speak wasn’t the worst thing in the world. I had an excuse to dance the whole night,” she smiles.